Philippine Ambassador to Spain, H.E. 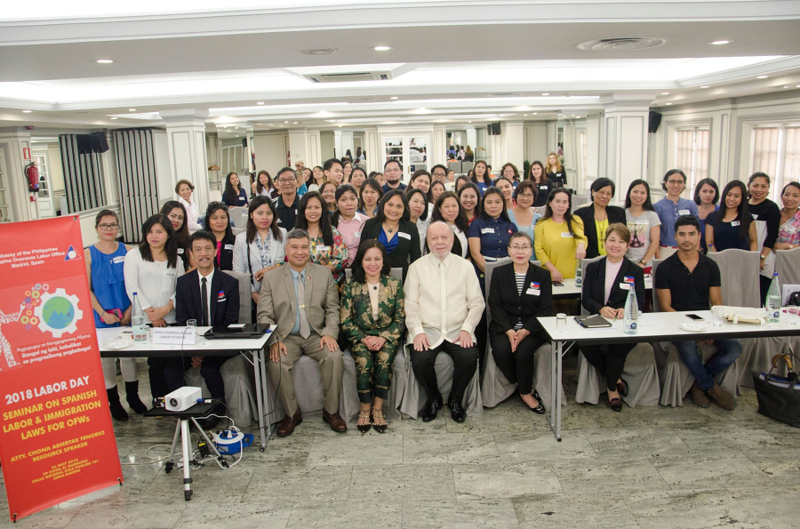 Philippe Jones Lhuillier, led the celebration of the 2018 Philippine Labor Day and 36th OWWA Anniversary through a “Seminar on Spanish Labor and Immigration Laws for Overseas Filipino Workers (OFWs).” Said seminar, implemented by the Philippine Embassy through the Philippine Overseas Labor Office, was held from 2:00 pm to 5:00 pm on 26 May 2018 at the Castellana Salon of Hotel VP Mardoño, Calle General Diaz Porlier 101, Madrid. Prior to the Seminar Proper, Labor Attache Joan Lourdes Lavilla welcomed the participants and conveyed the 2018 Labor Day Message of DOLE Secretary Silvestre H. Bello III. 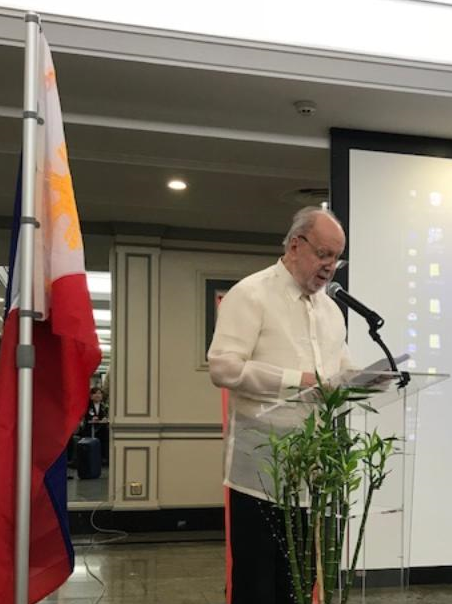 Ambassador Lhuillier, in his message to the attendees, expressed his appreciation for their presence and also extended to them his Labor Day greetings. 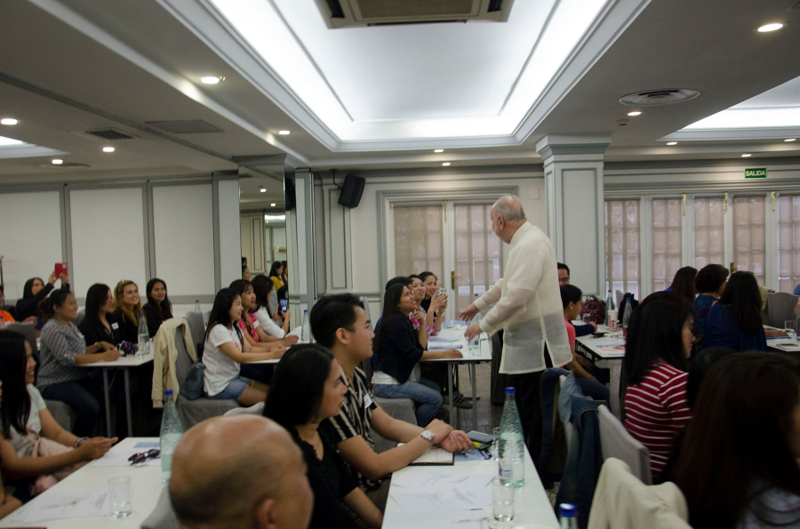 He emphasized that the seminar is part of the Embassy’s programs for empowerment of OFWs by equipping them with accurate, important, and relevant information as they live and work in Spain. Citing the theme of this year’s Labor Day celebration, “Pagpupugay sa Manggagawang Pilipino: Dangal ng Lahi, Kabalikat sa Progresibong Pagbabago,” Ambassador Lhuillier stressed that the Philippines highly values Filipino workers, be they in the country or abroad. 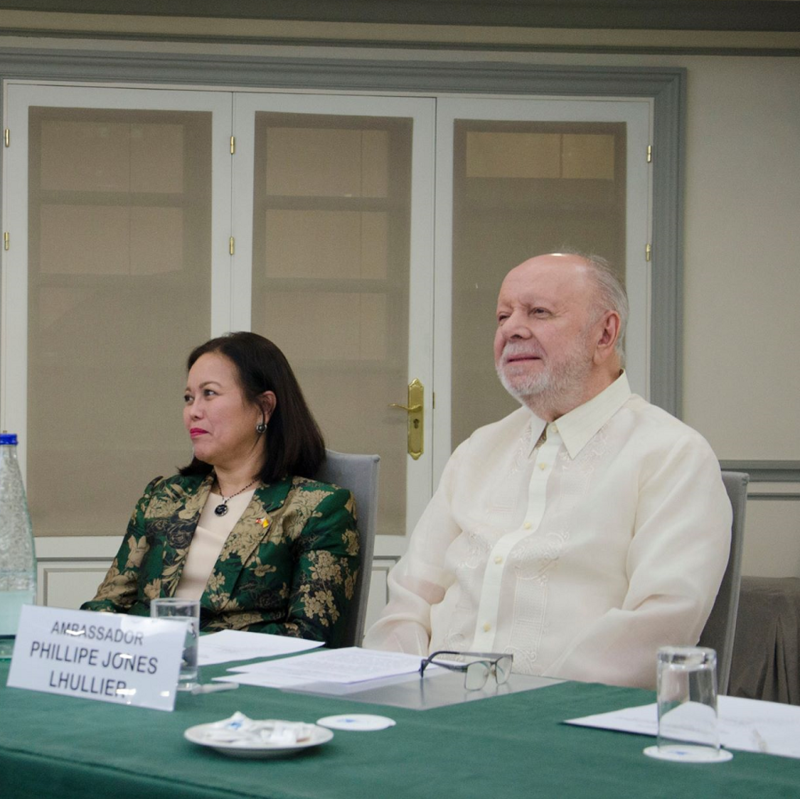 While overseas, Ambassador Lhuillier said that the Philippines, through its Embassies and Consulates, continues to do its utmost to provide care and support to Filipinos, using its manpower and other resources and within the bounds allowed by the host governments. Lawyer Chona Abiertas Tenorio, the Resource Speaker and recently-appointed Philippine Honorary Consul General in Barcelona, anchored her presentation on “Real Decreto Legislativo 2/2015, de 23 de octubre, por el que se aprueba el texto refundido de la Ley del Estatuto de los Trabajadores.” She discussed extensively on the rights of workers, forms and contents of employment contracts, wages and payment of wages, working hours, excess hours, rest periods and vacation, modifications of employment contracts, the termination of employment contracts, etc. She also answered questions and gave clarifications on the issues raised by the OFWs such as acquisition of legal status, 13th and 14th month pay, membership in Spanish trade unions, retirees’ pension, and differentiation between authorization to stay and residence permit, among others. A total of 85 OFWs registered for the seminar. Certificates of attendance were later awarded to the participants.